Sorry, it’s been a while since the last post here. Things have been a little hectic with a migration and relaunch of ComicsHeatingUp.net. But here’s a LEGO minifigure flip idea, once these hit retailers in early April of this year. It’s the new LEGO Star Wars Visual Dictionary: New Edition book that comes with an exclusive minifigure . 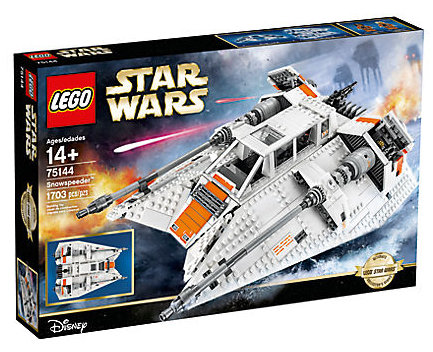 The LEGO Snow Speeder 75144 was marked back at the end of August as “Retiring Soon”. About a week or so ago this set actually showed up as being on “backorder”. That could be a clear indication that sets are running low and sooner rather than later this will be fully retired. The only real LEGO news coming out of NYCC 2018 was an all new animated Spider-Man special. Welcome to all those visiting this website. This idea was mentioned on the famous Comics Heating Up website as sort of joking around but after much thought, figured what the heck, people flip Lego sets all the time.